First, Is Your Rifle Long Action (LA)? Long Actions are 3 digits (110, 112, etc.). Short Actions are 2 digits (10, 12, etc.). This stock is for Long Actions. Second, Is Your Rifle Staggerfeed or Centerfeed? Simplest way to tell is to remove your gun from the stock. Staggerfeed will have the magazine box attached to the receiver (see photo above). Centerfeed will have all of the magazine parts in the stock. Third, Do You Have a Bottom Bolt Release or Side Bolt Release? Both are centerfeed, choose which according to whether your bolt release is on the top near the bolt or on the bottom. That's It! Order the LA Staggerfeed, LA Centerfeed or LA Centerfeed Low Bolt Release Conversion Stock. 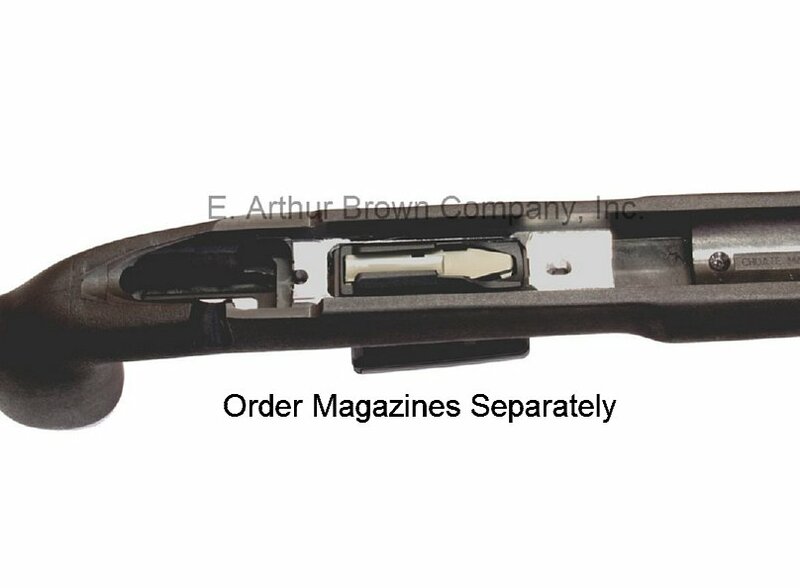 Magazine Compatibility: This conversion works with any Accuracy International (AICS) long action compatible magazines. This includes Magpul (671 and 698 AICS models) and MDT AICS models. I purchased this obviously for a 110 savage I had a hard barrel on. The rifle was very accurate. Really needed a drop box stock for what I was using the rifle for., This stock fit perfectly. I had to get a shorter bolt for the front so that the bolt was able to lock down. I purchased Magpul aics mag sized magazines they work amazingly. Would recommend to anyone trying to upgrade their rifle. Recently purchased a stock from Eabco and shipping was fast and flawless. 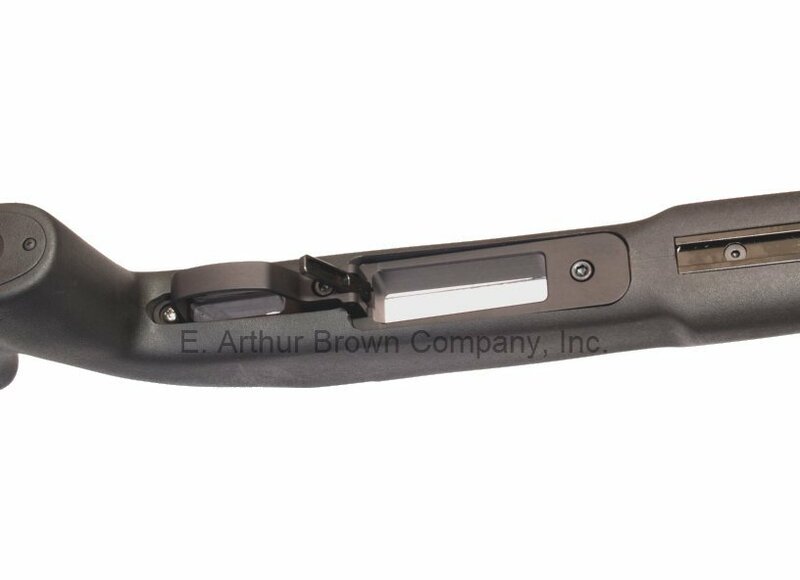 The stock is very nice and inletted for a CDI detachable box magazine. The inletting is perfect and the bottom metal could not fit any better. However, when I selected the options for my rifle I selected my rifle exactly for example: staggered feed savage 110. I was sent the savage 110 bottom metal set up for a single stack magazine. I purchased the magazine and it will not feed the caliber I am using it for. I am not too upset because since then I have been in contact with Jeff from CDI, who makes the bottom metal and he is more than willing to set me up with the correct bottom metal to get my rifle functional the way I had planned. All in all, I would buy here again. I would like to see more options on the website so that folks can basically describe exactly what they are looking for and not leave it up to the packager to decide what you are getting.